The EmpoweringYou project attempts to tackle the social and political alienation and withdrawal faced by many young Europeans. This has been reflected in the low rates of participation in political, civic and social life which can lead to marginalisation and social exclusion. This form of marginalisation is primarily expressed as electoral abstinence and a limited interest in civic and social actions, but in extreme cases, through radicalisation and violence, undermining contemporary ideas of democracy and peace. The project targets young adults aged 13-30 who are at risk of social exclusion including NEETs (those not in education, employment or training), those not engaged in electoral processes, and those that as a result of social exclusion may have become involved in criminal activities. The project is working across 5 European countries to promote youth political and social participation at an EU level. EmpoweringYou provides education on common European democratic values and an opportunity for collaboration, communication and networking among young EU adults, who may face the same challenges. In order for the platform to address the multiple needs of different EU countries, the project uses the input of transnational partners and focus groups from different EU regions, supporting the dissemination of the platform across Europe. The EmpoweringYou project will promote an ‘open and innovative education, training and youth work, embedded in the digital era’, by developing and providing a sophisticated, integrated and holistic digital tool, tailor-made to the learning needs and preferences of the target group. The tool will allow them to enhance their civic and social awareness skills and improve their understanding of political, social and civic principles and the needs of their community. The tool also provides young adults with an open area where they can create their own informal and formal networks. This allows users to interact with each other, exchange concerns, ideas and experiences, and together seek opportunities to address issues of public concern at the local, national and European level. The project’s gamified platform will facilitate pathways among young people and local youth communities to e-participate though gaming. Users of the platform will participate in imaginative or virtual activities which engage them with the right mix of intrinsic motivations and extrinsic rewards. The platform draws young adults into discussions about democracy through proposing and up-voting initiatives, proposing solutions, signing e-petitions, or volunteering to contribute time, skills or expertise towards a specific initiative. Thus young Europeans will be empowered to shape their ideas and put them into practice, to voice their opinions and concerns, to work together toward sustainable solutions and towards initiating actions from the grassroots level, in a feasible, fun and accessible way, by acquiring at the same time basic civic skills and useful knowledge. The scope of the EmpoweringYou project is to promote the political and social participation of young EU citizens at a local, regional, national and European level. The project develops civic engagement though the design and development of an interactive gamified platform which is based on e-learning and the exchange of views and ideas. In this way EmpoweringYou combines inclusive informal education and allows for networking and active community engagement. All information gathered during the research phase will be compiled, summarized and presented in 6 national recommendation reports. Emerging themes, similarities and differences across countries and a gap analysis on the findings will be key-elements of the joint transnational report to be elaborated based on the 6 national reports. O2 encompasses the development of a Curriculum, Storyboards and Content of the EmpoweringYou gamified platform and overall content for fostering EU youngsters’ civic participation. The platform storyboards and content outline will be divided into thematic topics comprised of sections with specific learning objectives, learning activities, related learning material and tools based of the philosophy of adventure platforms and role playing. The gamified platform will be user friendly, interactive and attractive and will be made available through the project’s website. The platform will also be developed to run in android mobile devices. The aim of this Output, coordinated by KMOP, is twofold, firstly to provide improvements to the online platform, through suggestions coming directly from the end users and secondly through the implementations among potential users to generate a critical mass of multipliers. The aim of this Intellectual Output is to develop a training handbook that will support National Stakeholders in sharing and exploiting effectively the developed training handbook of the platform, in order to later engage young adults. This Intellectual output will also include actual training, during which the following training methodologies will be used: Lectures, Case Studies, practice by doing and practical exercises on how to use the platform. Inova’s employees and associates combine experience and qualifications in organizational development, psychology, mentoring and coaching in addition to bringing in best practices from across Europe to assist organizations and individuals in the field of personal and business development. KMOP is one of the oldest Greek NGOs with 40 years of accumulated experience in the provision of services to disadvantaged groups. KMOP’s main areas of expertise include social welfare and health, employability and human rights protection, scientific research and the development of know-how in social policy issues. Apart from direct provision of services through decentralized community based facilities (Three Group Houses and one Day Care Centre for mentally ill as well as counseling centers in various towns), KMOP is also actively involved in both national and EU/international projects addressing social issues particularly focusing on low-skilled youth and long term unemployed, victims of violence and trafficking, disabled, elderly, migrants and minorities. 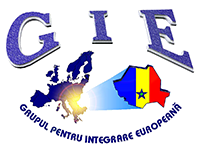 GRUPUL PENTRU INTEGRARE EUROPEANĂ – GIE is an NGO created in 2002. Its mission is to contribute to EU integration process through the provision of educational activities, professional training and cultural activities. GIE has 28 full-time and part-time employees and implements a large spectrum of activities, namely: LLL and VET theoretical & field research, analysis, data processing, comparative studies, development of LLL and VET strategies & methodologies. GIE’s activities also focus on curriculum design, educational materials development, didactic evaluation, process assessment, elaboration of dissemination materials. GIE is accredited through National Authority for Qualifications, provides a wide range of professional courses. It is a well known training provider within the Argeş region. In Argeş County, where GIE develops its activities, there are currently living different categories of people: youth, elderly, women, migrants, unemployed, disabled, Roma ethnics. This diverse group have a wide range of needs including education & training, health & care, financial support, social integration, communication, and supports for integration to the labour market. GIE works closely with other organizations of the region to support these people. GIE has considerable experience as an education and VET provider and also with specific regard to the development of entrepreneurship, the provision of career guidance and counselling and the social integration of minorities. A major part of GIE's work is centred on the development and delivery of training to support labour market integration. GIE staffs have extensive experience in developing learning materials and in working with platforms like MOODLE to develop on-line training and course-ware. The CSV - Volunteering Services Center is a structure established by the National Law on Volunteering n. 266/91 to offer free services to volunteer organizations with the aim of supporting and qualifying their activities. It promotes the culture of solidarity and active volunteering, facilitates and supports the actions of voluntary organizations through consultancy, help, training and information services. The services offered are mostly completely free and addressed to all Marche associations (more than 1800, CSV members, not members of the Regional Register), as well as to all citizens who wish to deepen the knowledge of the world of volunteering. Some of the services provided by the CSV are also addressed to other organizations as Social Promotion Associations, Amateur Sports Associations, Social Cooperatives and other non-profit organizations. Developed to meet any need of volunteer associations, the range of services offered is vast and articulated in several areas: basic logistical services, project design, training, promotion, information and communication, consulting, solidarity goods and services, conventions, Networks and territorial animation. The operational philosophy of the Centers is to add value to the resources already in the territory through networking allowing the experiences and the assets of volunteering to expand and gain value among groups and associations. Voluntary organizations have specific competences in their fields of intervention that can contribute to a mutual enrichment of ongoing experiences. Volunteering, Active Citizenship, Community mobilization & Youth support and Migrants Inclusion are some of the main topics of activity for CSV MARCHE in our region and, within national partnership, all over Italy. Since it fosters coordination and collaboration among Associations and Ngos and public sector in the field of volunteering, social inclusion, active citizenship promotion and youth raising awareness and education, the topic of youth mobilization and activation through volunteering and the support to civic participation mechanisms is particularly relevant for us. With a 40 years’ experience, the Association Ágora works managing La Verneda-Sant Martí Adult School from Barcelona, with the aim of being an instrument of participation and cultural diffusion, further than regulated education. In addition, the association aims to give voice to those who are more excluded from the public debates and social participation, fostering and promoting their inclusion in all social fields. Ágora provides an educational setting for about 2400 participants and has more than 150 volunteers. It offers activities, including basic literacy, language learning, ICT, access to university and dialogic gatherings, among many others, as well as a wide range of cultural and educational activities for the whole district, with an extensive opening time from 9am to 22pm and all activities are free. As an association, Ágora wants to be opened to everyone without any discrimination in order to promote equality. Solidarity and Human Rights are some of its bases, offering the opportunity for free participation in every activity. The Adult School managed by Ágora is a pluralistic democratic project, where decisions are taken by everyone involved in the community through participation, dialogue and consensus. In 1999, Harvard Educational Review published the article “La Verneda-Sant Martí, a school where people dare to dream”, the unique Spanish educational experience into adult education published by this review. Authors such as John Comings (Harvard University), Dr. Arnetha F. Ball (Stanford University), Carol D. Lee (Northwestern University and vice-president of the American Educational Research Association) or Courtney Cazden (Harvard University) have visited the school and association highlighting the impact of the school results and work.